The California coast served as the muse, simultaneously spacious and calm, savage and unrelenting. This dichotomy informed her creative process, which was predominantly water media and printmaking. Some designs, the approach was calm and meditative. For the others, designer Kate Miler worked with intensity, laying down ink or paint, then spraying water to let the unexpected occur. 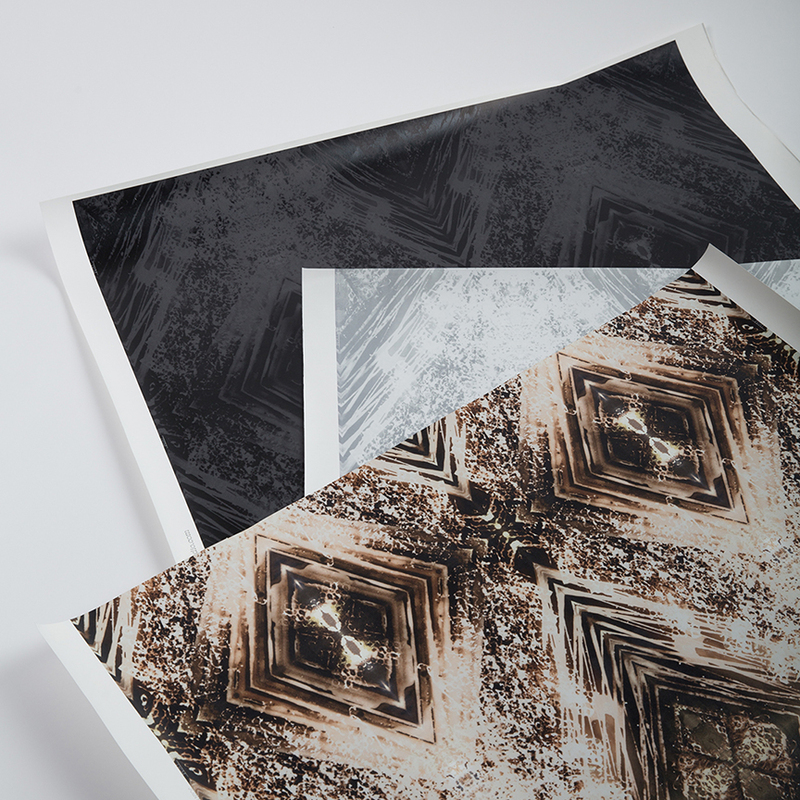 Five new prints in a total of fourteen colorways are available as fabric for residential applications, and as wallpaper for residential, workplace, hospitality, and store design. The entire collection is printed digitally, eco-friendly, and customizable as to color and scale. The varied colors and textures of a rusted drainpipe outside designer Kate Miller's apartment led to an exploration of the art of rust. Kate first hand dyed fabrics using a variety of rusted objects. These experiments yielded a variety of shapes, which were then developed into patterns digitally. Eight designs featuring earthy, sensual color palette plus eight solid coordinating fabrics. All designs are available on Belgian linen/cotton fabric, wallpaper (both residential and commercial options), and accent pillows. Selected designs are also available as grasscloth wallcovering. A Getty Museum exhibition about avant-garde photographers sparked Miller's interest in alternative photographic processes. Kate experimented with alternative "camera-less" processes on new and vintage photo paper, drawing from painting and printmaking to create marks and texture on the surface. She then scanned the prints and developed the motifs into patterns digitally. Six designs in a total of sixteen color-ways capture the unique luminosity of photography. All designs are available on Belgian linen/cotton fabric, wallpaper (both residential and commercial options), and accent pillows.